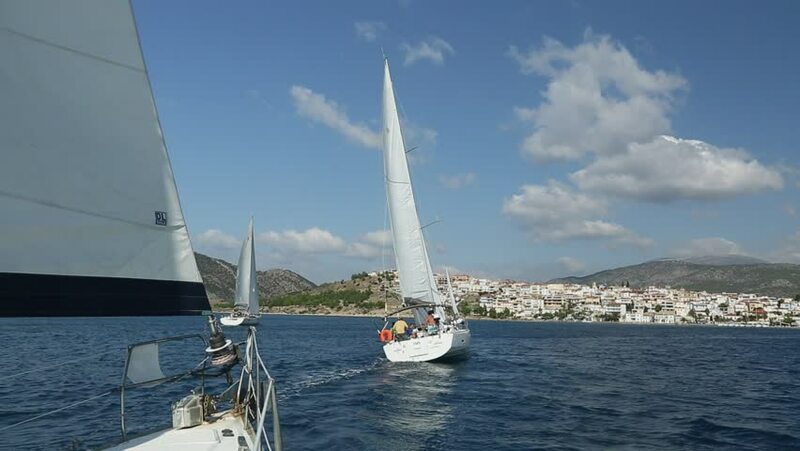 ERMIONI - POROS, GREECE - OCT 9, 2014: Unidentified sailboats participate in sailing regatta "12th Ellada Autumn 2014" on Aegean Sea. hd00:06SYDNEY, AUSTRALIA - FEBRUARY 02, 2014: Unidentified tourists take tall ship tour in Sydney harbour. Harbor tours are a popular way of seeing the bay area. hd00:29Kiev, Ukraine, August 2018: - many beautiful floating sail yachts medium size with crew , on the Dnieper River. Modern water transport. hd02:12Sailships in marina. Warm summer day.